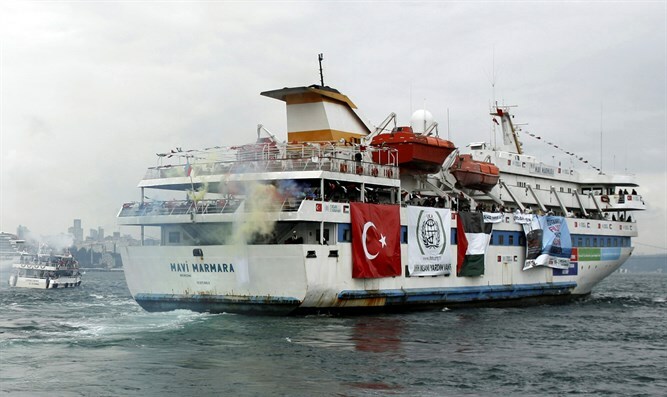 A Turkish court on Friday dismissed a case brought by victims of an Israeli raid on an aid flotilla that martyred 10 people in 2010, lifting the arrest warrants for the four Israeli defendants. The judge accepted the prosecutor’s plea that there was no case to examine following a deal in June between Israel and Turkey in which the victims’ families received compensation from Israel and the two countries restored relations. At the final hearing on Friday, too many of the plaintiffs’ lawyers and victims’ families had gathered to fit in the courtroom. Tensions rose when some were not allowed inside, leading to protests and shouts of ‘Allahu akbar’ (God is greatest). The judge called in the riot police to remove one co-plaintiff who refused to leave the courtroom. The families of the victims and lawyers chanted in protest and walked out before the verdict was read. Prosecutor Huseyin Aslan argued that the case had no legal foundation after Turkey and Israel’s deal. Israel had demanded that its military officers and government officials be indemnified against prosecution on war crimes allegations.